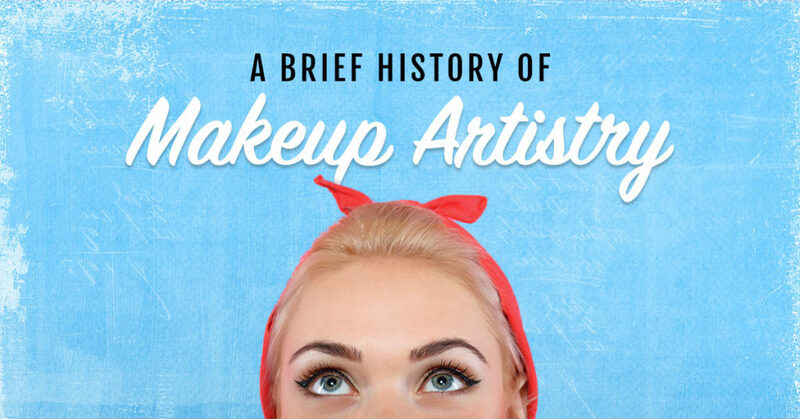 Have you ever wondered how long makeup has been around? In today’s world, makeup is only getting more and more popular, especially with the emergence of social media platforms like Instagram and YouTube. Makeup artists are more prominent than they have ever been before, but that doesn’t mean they weren’t around 50 years or even 100 years ago. Actually, it might surprise you to learn that the makeup has been used by different cultures for at least 6,000 years, if not longer. In fact, some evidence has been found that points to the use of ceremonial makeup in Africa almost 100,000 years ago! At this point, it’s safe to say that makeup has always played a role in society, and will continue to do so in the years to come. Let’s take a look at how makeup been used through the ages. The ancient Egyptians really loved their makeup, as you can see from any piece of Egyptian history. Everyone’s familiar with Cleopatra’s famous eyeliner and archaeologists are well-versed in the knowledge of the salves and oils Egyptians placed in their tombs. These products are believed to have been used to prevent wrinkles and keep skin hydrated in the hot sun. Many Egyptians used soot as eyeliner and their beauty influence was so strong that many Jewish women began using similar makeup. This influence even reached as far as Rome, where makeup was met with both acceptance and dismissal. Romans favored a pale-faced look achieved with chalk and even developed lead-based makeup products. During the Middle Ages, makeup was reserved for the elite aristocrats, mostly because the makeup at the time was so expensive. This elite class also preferred a pale-skinned look since it was opposite of the tanned look of manual laborers and peasants. The pale face was also a clear indication that you could afford the makeup, further separating the ruling class from the poor. The pale-faced look soon fell out of disfavor because it too closely mirrored the appearance of being ill in a world that was stricken with the Black Plague. It was common during this time for men to wear makeup, as well, until the 1850s when it began to be associated with more feminine tastes. As time moved on past the Middle Ages, people began to experiment more and more with makeup and its application. The lead-based makeup was discovered to be harmful to people who wore it. Some started using the belladonna plant—also known as nightshade—for pigmentation. This plant is dangerous as well, and its use soon stopped. As more experimentation happened, newer and better makeup products were developed. You might even be surprised to learn that people died simply for wearing makeup! In today’s world, we have a huge variety of makeup products to choose from, and new developments are being made constantly. This access to makeup has allowed makeup artist to thrive and help people all over the world feel beautiful in their own skin. If you are passionate about makeup, consider turning your passion into a career! Learn about Taylor Andrews’ makeup artistry program and contact us for more information!